High Quality Travel Lift Manufacturer Supplies Customized Travel Lift Factory Price Travel Lift For Sale! 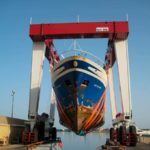 High quality travel lift is important for lifting boat. It has steady performance to ensure safety and efficiency. Multiple lifting points can work together when the device is used for lifting. This can increase efficiency and save much energy. 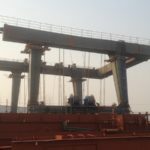 This kind of gantry crane also has durable material. It is anti-corrosion and anti-water. Ellsen Group, a professional travel lift manufacturer in China, supplies top quality boat hoist for sale, such as ISO approval marine travel lift, safe driving steady travel lift, remote control travel lift, cabin control boat hoist, all-wheel steering travel lift, high lift capacity travel lift, small boat travel lift, wharf travel lift. Ellsen provides customized service to meet practical needs and requirements. For any specifications, customers can provide pictures and other details to Ellsen. Perfect service, reliable quality, reasonable design, Ellsen travel lift is great choice for work! What is high quality travel lift? Expensive travel lift not always means high quality travel lift. Good boat hoist has simple system, high efficiency and high safety. 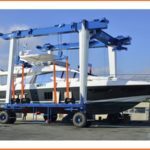 With terse structure, mobile boat hoist is easy to install, simple to operate and fast to install. 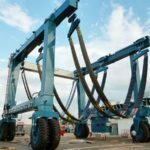 With multiple lifting points, it can lift vessel steadier. The device adopts firm and soft lifting belts, this can protect vessel surface from damage. 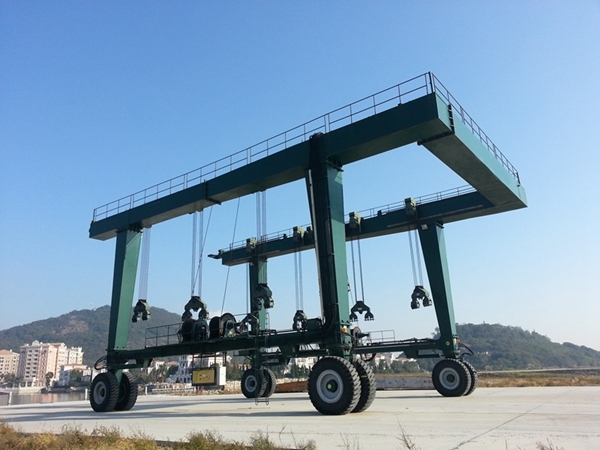 Top quality boat hoist crane has large loading capacity and high efficiency. 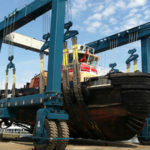 It can lift and transport heavy vessel fast and steady. This can save much energy and time. For material, high quality boat hoist has durable and reliable material. It is anti-corrosion and anti-water. This ensures long service term. 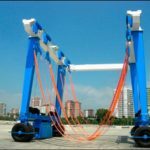 For safety, reliable marine boat hoist has complete safety protection devices, such as emergency stop device, overload protection device, over-speed protection device. 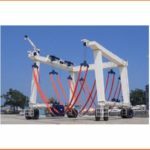 These devices can protect machine and operator from accident and can prolong crane’s service life. 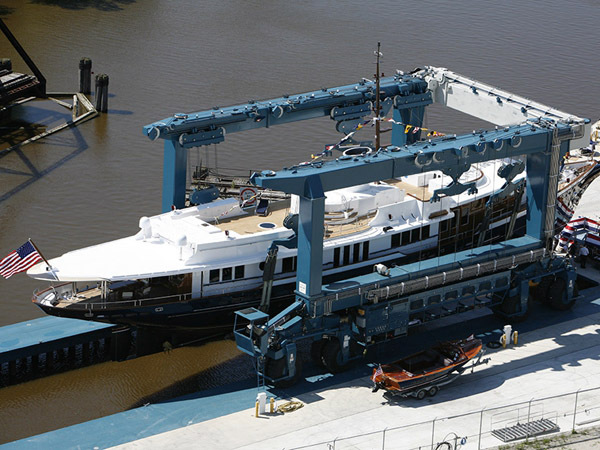 Why choose Ellsen marine boat hoists?